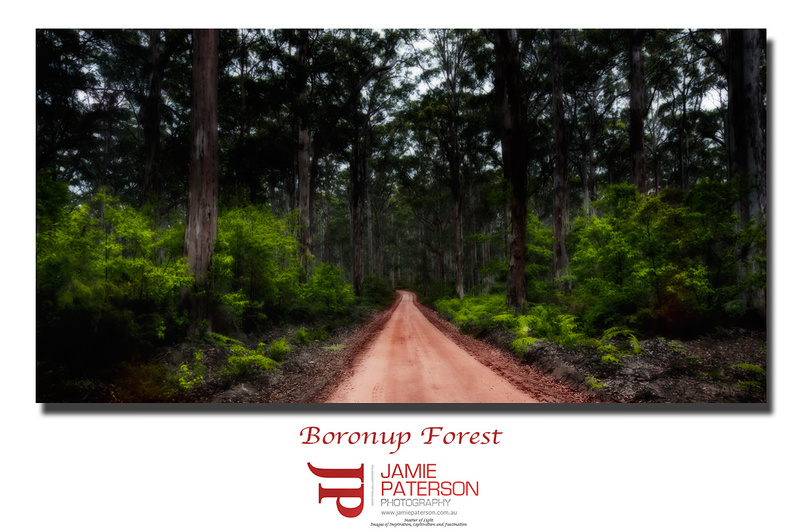 Its been ages since I’ve been down south and I was trawling through my down south images today when I came across this photo of Boronup Forest that I took whilst out with Mark Stothard last year. I’ve tried doing a few different techniques to it and I quite like the way it turned out. Hope you guys do to. Last Saturday I was fortunate enough to join Mark, Christian and Michael on a shoot at Smiths Point. It was awesome fun and we had some amazing light present itself during the sunrise. The other three headed up some huge rocky face and I decided to stick with familiar territory to me, the wonderful and amazing ocean. I’m glad I did as I able to witness the best sunrise I’ve seen in at least six months. 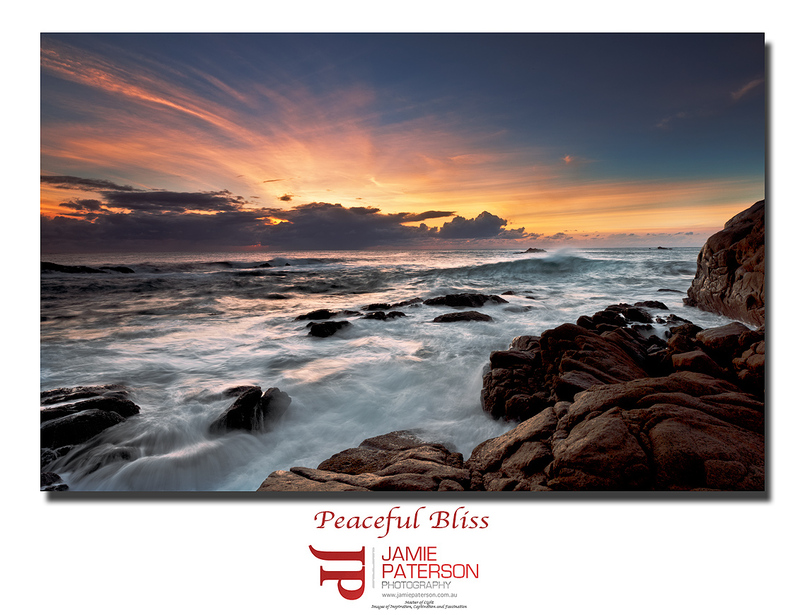 If you’d like to see more seascape photography please visit my site. 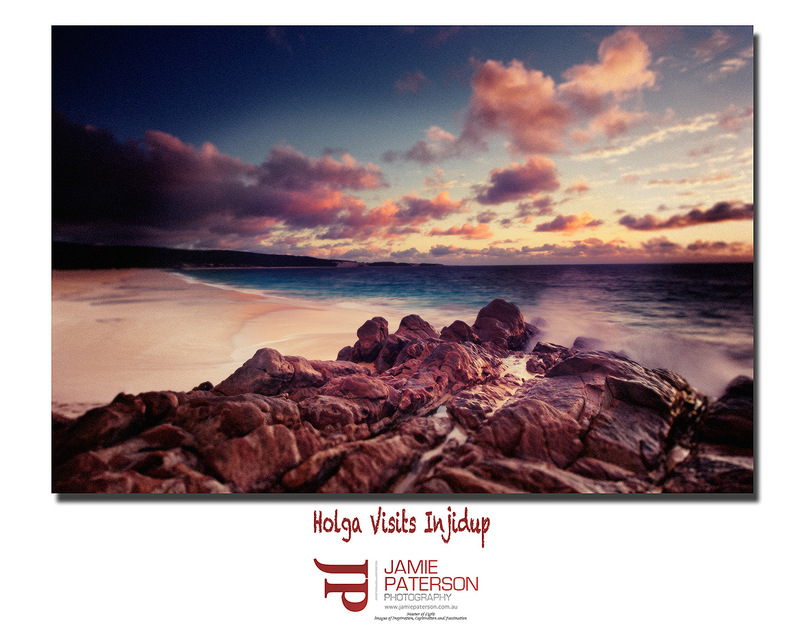 Who is Holga when she is in town and why is she visiting Injidup? Why am I even writing about her? I bought a Holga camera ages ago and though I had the best of intentions of using it a lot more than I currently do, I just haven’t. I do though really like the Holga / Lomography look, for some reason it has a real appeal to me. Maybe its because they create a heavy vignette, perhaps the crazy colours, the heavy noise, the soft focus or just the sheer unpredictability of the camera. 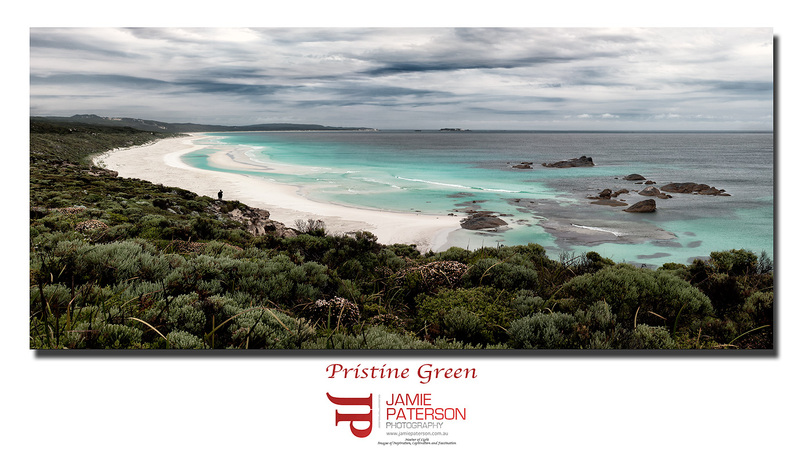 I have been experimenting quite a bit in Photoshop this weekend, on some of my old glamour shots and on my landscapes and its been heaps of fun. Its good to really stretch ourselves creatively and see what we come up with. I decided to create a Holga / Lomography look for this photo of Injidup using Photoshop and I’m really pleased with the way it turned out. I know its not for everyone, but I really was just having a tinker around and thought I’d share it with you guys. When was the last time you sat down and just did some crazy experimeting on your photos? Yep. Another file that has been sitting on my Mac for about one and a half years, not because I didn’t like it but just because I forgot about it. 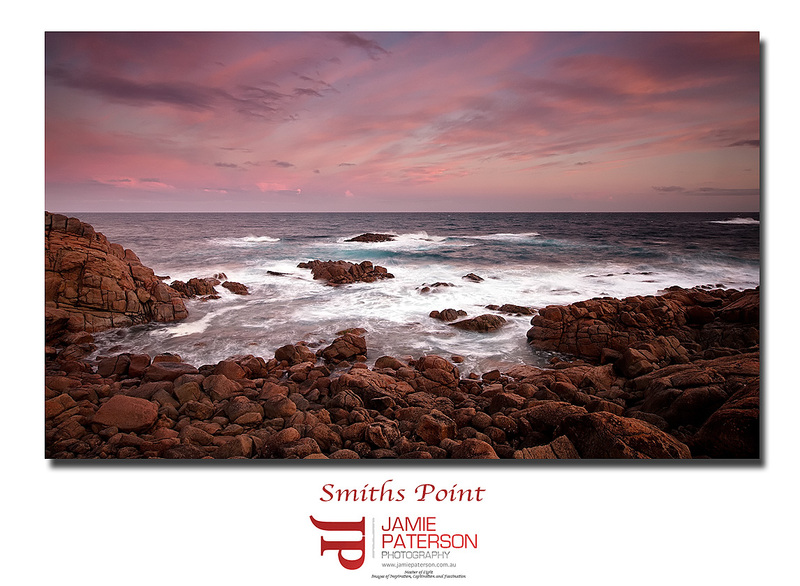 I’d been setting up at Yallingup main break for a sunset shoot, but couldn’t shake the feeling that I really wasn’t in the right place. Something kept telling me to head on over to Injidup Point and I decided to listen and jump in the car with only a few minutes to spare to get there. As I was driving into the carpark I was presented with this scene. A double rainbow as a rain shower was passing. I stopped the car, grabbed the camera and popped off this shot before heading down to the beach. I’m pretty happy now that I took the shot as I reckon its a pretty cool shot. 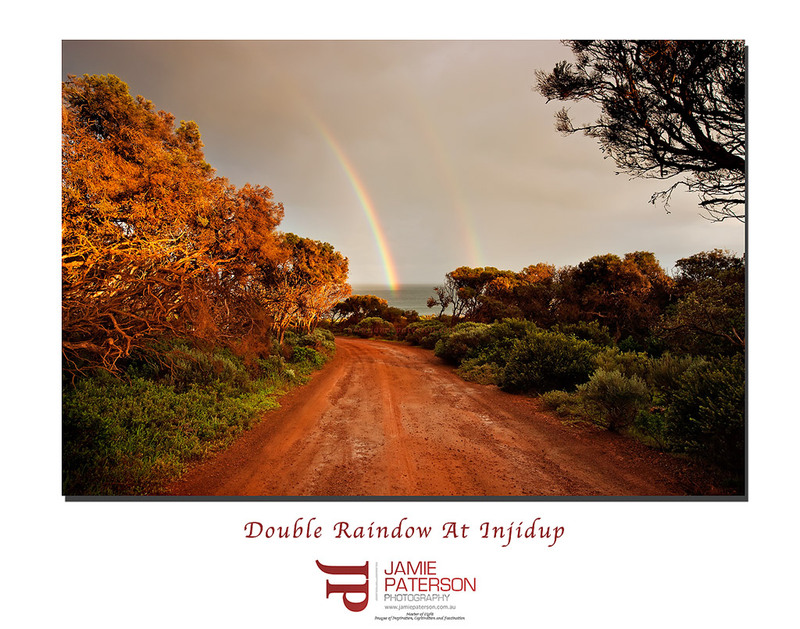 The afternoon glow from the setting sun along with the rainbows is just another visual splendor that I’ve managed to experience at Injidup. 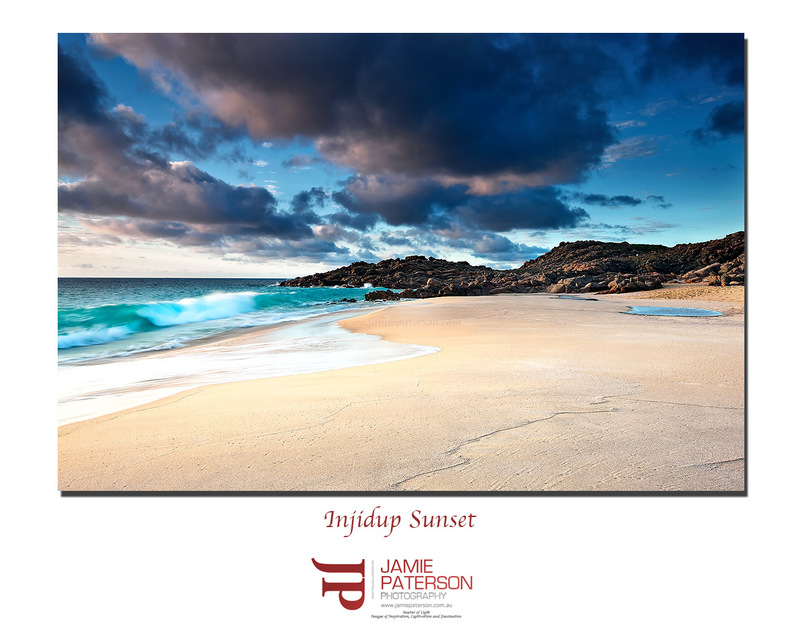 Another shot of Injidup Beach! What more can I say about the place other than I love it and its magical. On this particular evening the waves were just gently lapping at the beach instead of being hammered by the large waves that normally come through here like a freight train. Just on the other side of the rocks were a large group of kids jumping into the water and swimming and splashing around, just having a great time. Its good to see that I’m not the only one who recharges at Injidup. I can’t wait to get down here during winter to capture some winter storms.